Grocery store chain, hypermarket and supermarket food prices. Grocery store chain, hypermarket and supermarket food prices. Everyday expenses and living costs. Retailing and daily consumer goods trade concept. 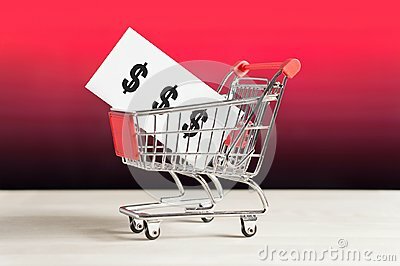 Miniature shopping cart with dollar sign.